Any production that ends with a full audience standing ovation – clapping, cheering and dancing – is not to be missed! Since June ‘73, Richard O’Brien’s The Rocky Horror Show has become the world’s favourite Rock N’ Roll musical. It has now been performed worldwide for over 40 years in over 30 countries, and translated into more than 20 languages with a huge cult following. 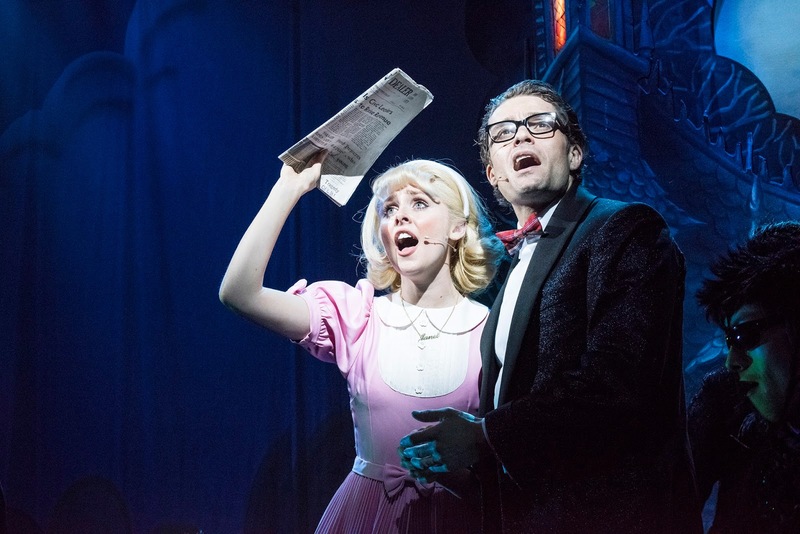 The cast is a fantastic mix with the likes of X Factor finalist, Diana Vickers, in the role of Janet Weiss; S Club 7 star, Paul Cattermole, playing the role of Eddie and Dr. Scott; The Voice star Liam Tamne in the iconic role of Frank N Furter; and TV’s Norman Pace as the narrator. Also, following his huge success in over 900 performances of the 40th Anniversary Global Tour of The Rocky Horror Show, Kristian Lavercombe returns as Riff Raff! This musical extravaganza features all the famous tracks, including Dammit Janet and The Time-Warp and the production still continues to break box office records worldwide. The audience engagement is like no other you will experience – men and women dressed in brilliant costumes of corsets, fishnets and feather boas. With witty jeers from the audience, dancing and even some with props, you feel part of the show. The musical is a tale of two college kids, Brad and Janet, who meet Dr Frank N Furter when their car breaks down. They go on to have a very extravagant and risqué adventure full to the brim with timeless songs, over the top costumes, hilarious moments and amazing singing! The stage design and costumes are fantastic bringing the timeless classic to life with modern twists. Great work from the orchestra which you can see situated above the stage – this was a nice touch to bring them into the show and a big shout out to MK Theatre staff – they dressed the part and made the evening an unforgettable experience. Be warned… There are some rude parts too!